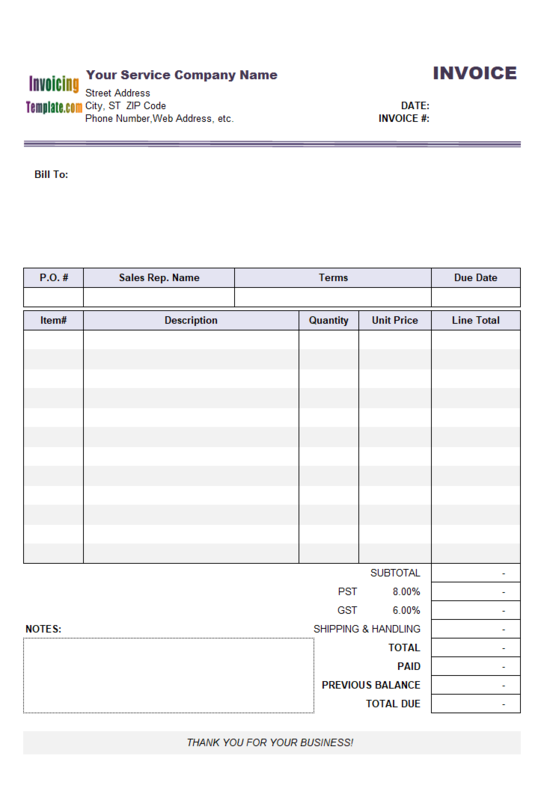 This template has no shipping section, but offers 4 columns on the invoice body - date, description, quantity and amount. 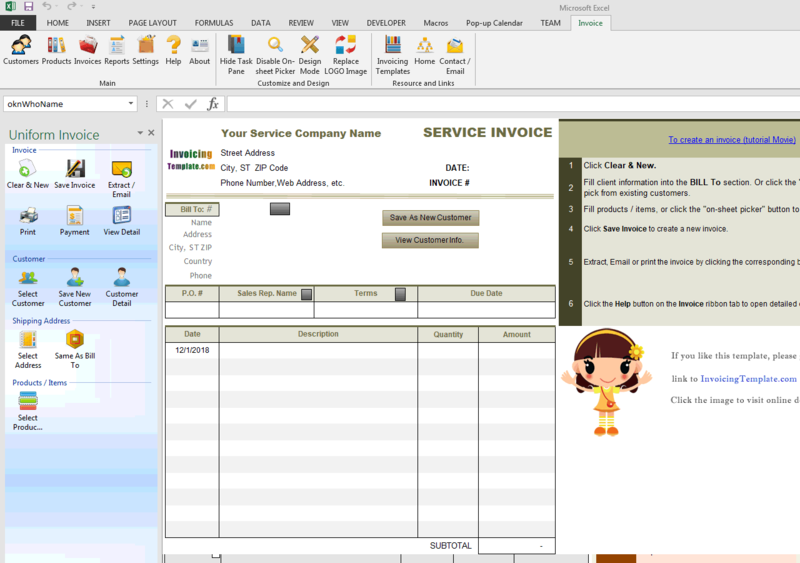 c4004 now includes the customized invoice template for the latest version of Invoice Manager for Excel. 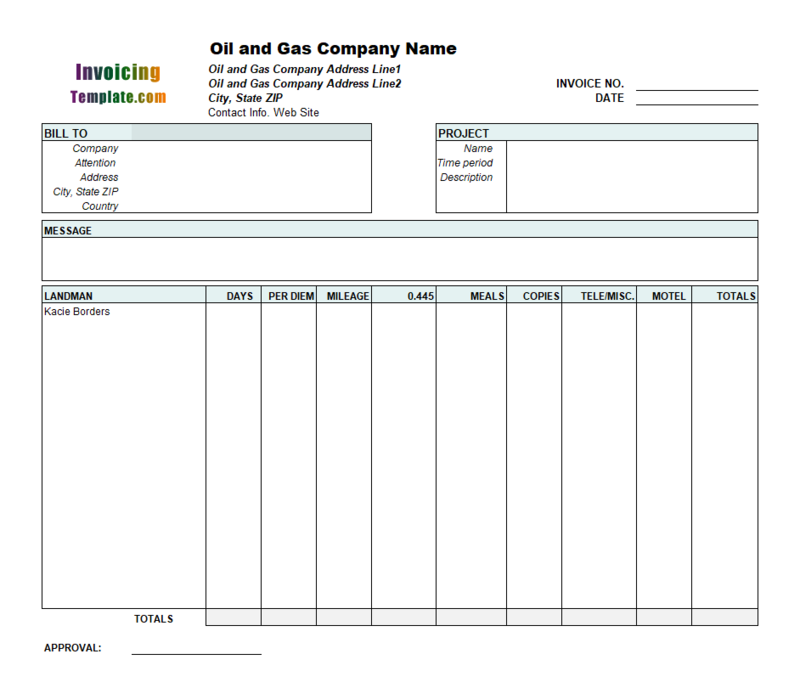 This is what you will see when you open invoice-with-date-column.xlsx. 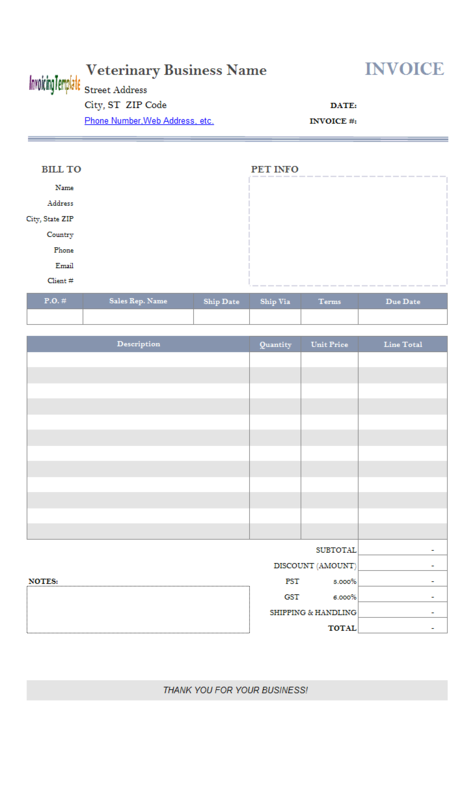 Since this template does not include the shipping section in the printable area, it is more suitable for service business. 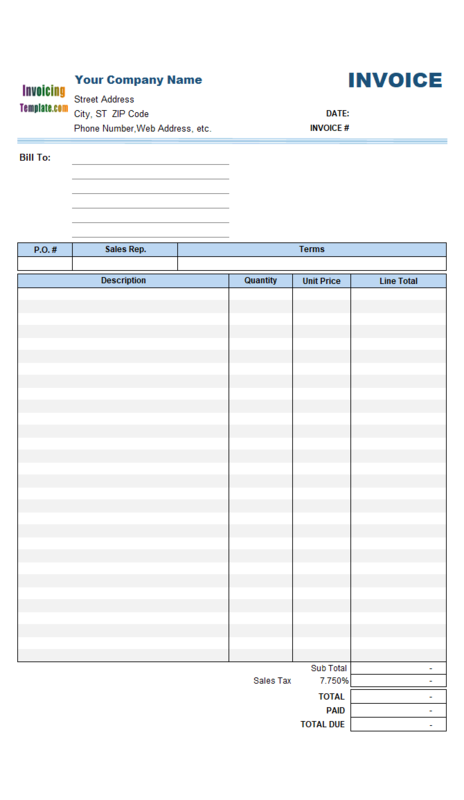 Compared to the default sales invoice template shipped with Invoice Manager for Excel installer program, this "Invoice with Date Column" template has the Product# and Unit Price columns moved out of the printable area, and added a new column Date. 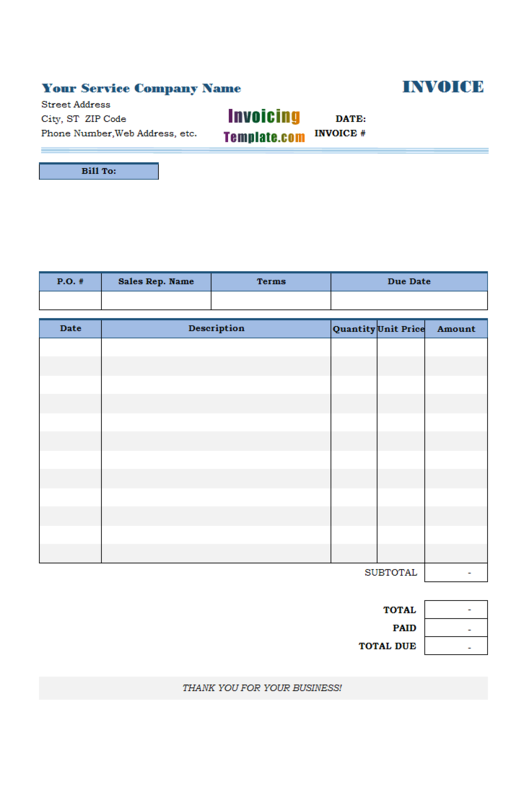 With Invoice Manager for Excel, which you can download and try the fully functional trial version for free, it is much easier to use custom fields. The previous standalone utility program, Database Designer, was no longer available. 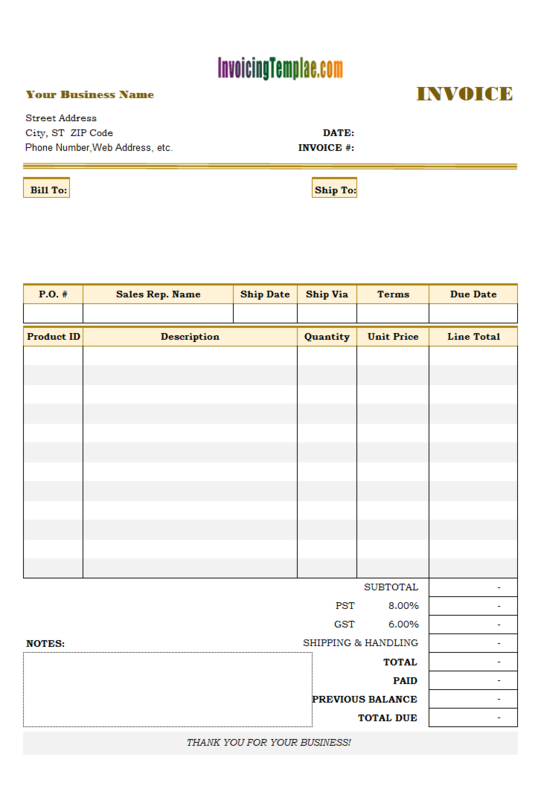 The feature of the Database Designer program was added to Invoice Manager for Excel program itself, and database definition file is no longer required. 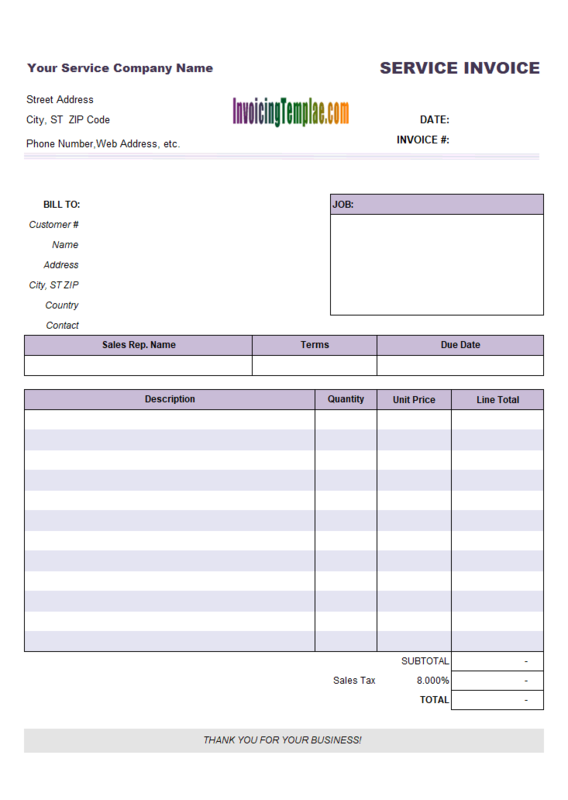 For example, let's say you want to add the Date column to the Invoice Body database table. 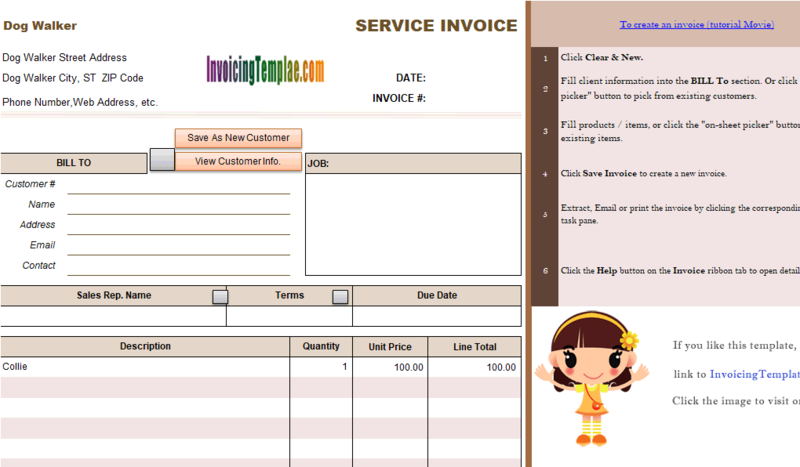 You first open the Invoice Edit window of any invoice, and then double-click an invoice item to open the detail window of the invoicing item, and then go to the "Custom Fields" tab. Next, click the Add Field button to open the "Add New Custom Field" window. Specify the name of the field ("DateCompleted" in this example because we want to use this field to detail when the service or job was performed / completed - you cannot name a field with the word "date" because it is a keyword used by the underlying database engine), and then select "Date" from the Type list. The "Default value", "Caption" and "Notes" fields are optional on this window. Note that if you are adding a new field that is Text type, you have to also fill in the Size field; and if you are adding a Decimal field, you have to fill in Precision and Scale too. 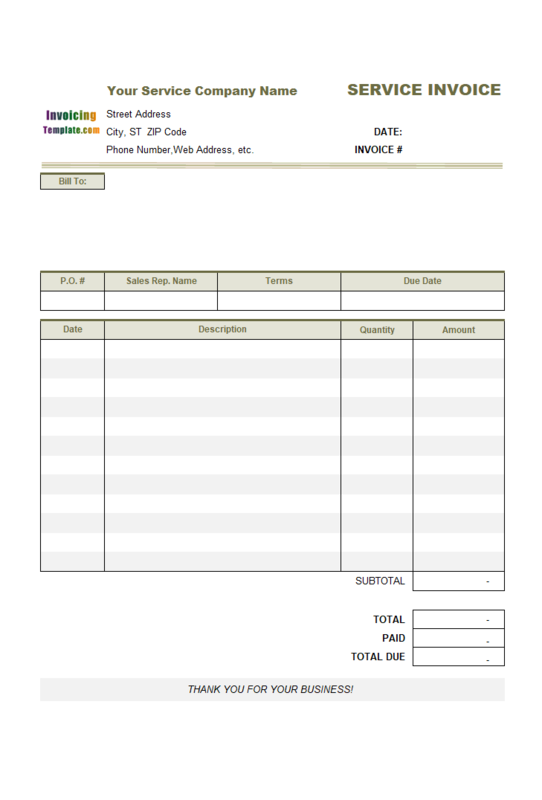 Once the new field "Date" is added to the Invoice Body database table, all you have to do is to name the field. To do this, simply enter the name of each cell on the column "oknDateCompleted_1", "oknDateCompleted_2", and so on, from top to bottom. Of course you have to do some formatting work too to make the new Date column has the same style like the other columns. You can use Excel's format painter, which allows you to copy the formatting, to quickly duplicate the formatting (background color, border style etc) of an entire column. Next, format the Date column with appropriate date format - to do this, first select all the date cells, right-click one of the selected cell and choose Format Cells. On the Format Cells dialog box, go to the Number tab, and then choose Date from the Category list. On the right-hand of the tab, you can find various date formats that you can choose. Pick the one you like and click OK to close the Format Cells dialog box. (Updated November 14 2018 - The date column is formatted with USA date format. See contextures.com for more information about Excel dates. Visit Excel date picker for our date picker add-in program for Excel. 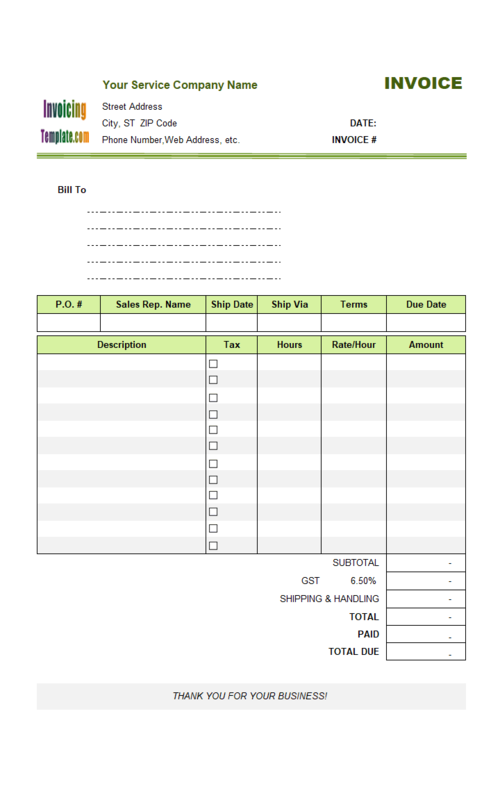 Once finished the formatting work, save the template once by clicking the Save command in Excel to make change changes to the Invoice with Date Column persistent. 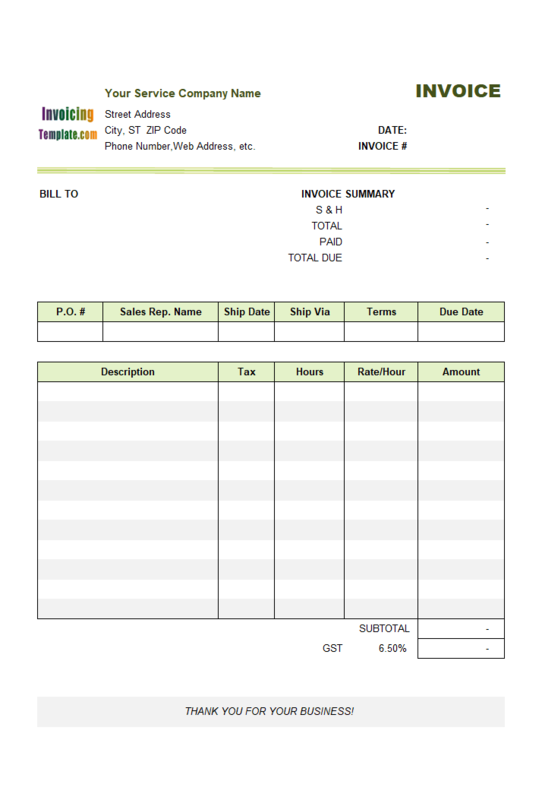 Like other form designs here on InvoicingTemplate.com, Template with Date Column is free (offered to you at a price of 0.00USD). It works on Windows XP and all newer versions of Windows, and Excel 2007, 2010, 2013 or 2016. 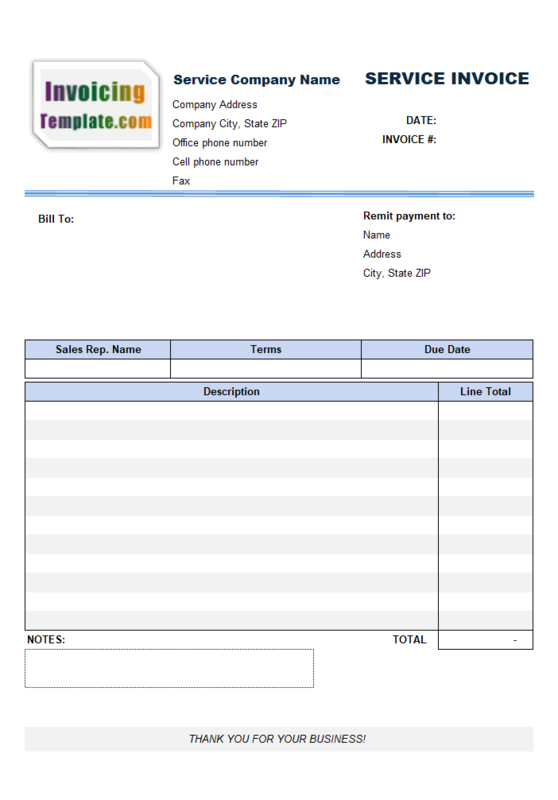 Replaced the "InvoicingForm.com" logo image placeholder with "InvoicingTemplate.com" image. 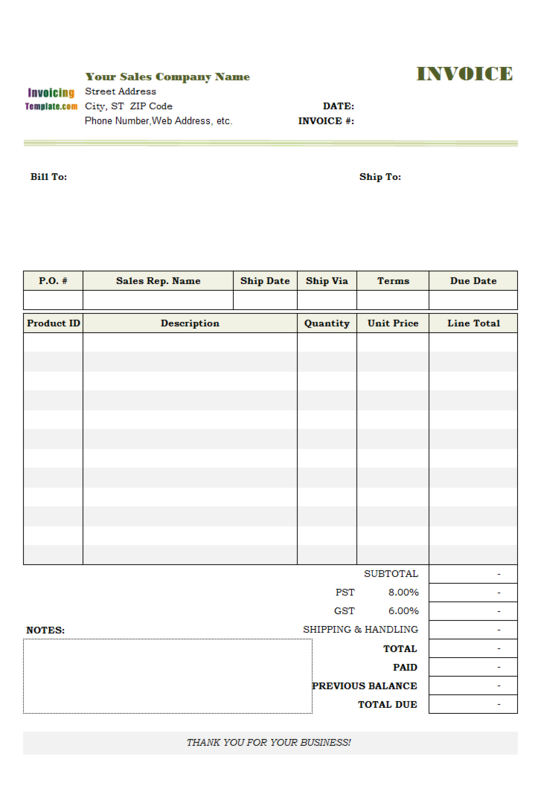 The title of the "Product ID" column is now changed to "Item#". 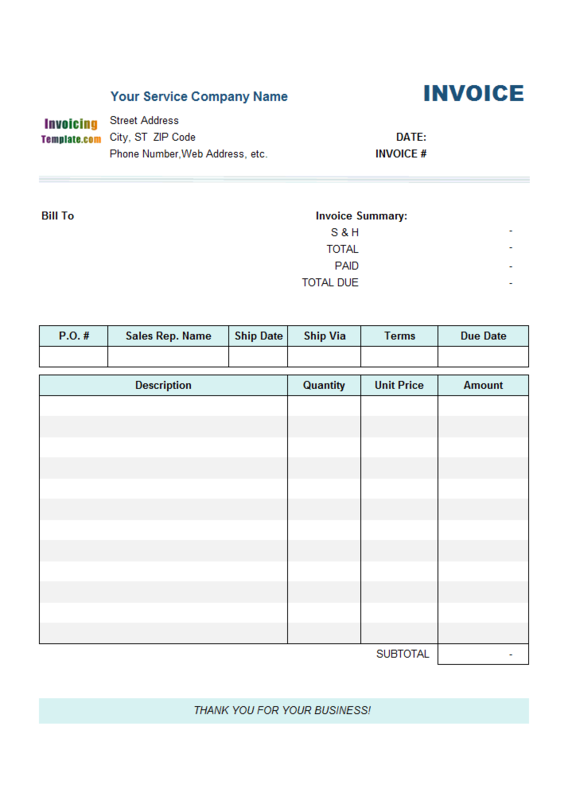 Set gray background color to the "Thank you for your business" message on the bottom of the form. Applied the "brown" color scheme. 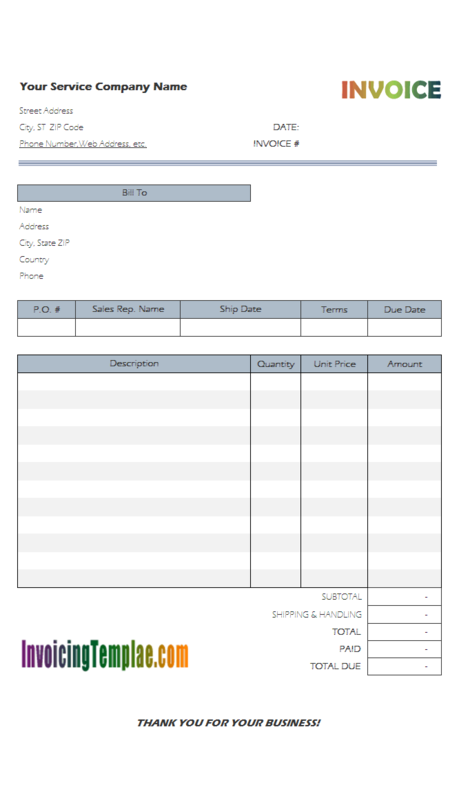 Replaced all text label ActiveX objects in the "Bill To" section with Excel "text box" objects. The latter is considered more lightweight. Updated the format of the date column.